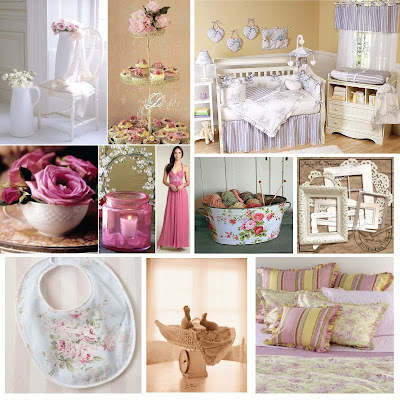 This week's inspiration is a Shabby Chic Baby Shower. A friend of mine is having a baby girl and needs some shower invitations. She has given me so much to find inspiration through. When we first started talking she mentioned she wanted the invitations to have a shabby chic feel with purples, pinks and greens. She then came back and said she really liked the idea of playing off the "pea in a pod" theme, she especially liked this one because her grandmother used to call her sweet pea which is a term she is going to also carry into the nursery. Another great inspiration is the baby's name. Her name will be Ella Rose... isn't that beautiful! I think we can definitely incorporate all of these inspirations into her invitations. Check back at the end of the week to see the designs I come up with. I love playing with colors, textures and fonts to create one beautiful piece that captures a theme, moment or expression. I love all things that have to do with sun, sand and surf. I enjoy traveling with my hubby; the culture, food & sites of a new city are so inspiring! Things I can't resist right now - Starbucks Skinny Vanilla Latte, large colorful tote handbags, tickets to a Gator game, and watching the sunset with the one I love.